Yes another Friday in the books and one I'm really grateful to have over here. Zach is leaving this weekend to head to a friend's wedding and while I'm seriously super bummed I can't be there to dance and enjoy the beach and my amazing friends, pregnancy and the health of me and the baby has to be top priority right now. Since the wedding is in Florida and my OBGYN says being over 6 months pregnant isn't worth the risk of the Zeka virus that's still lurking around, I opted to stay home with Lily. Yes girl time again! I'm really trying to soak in as much as I can of our time together before her brother makes his way into the world in a few months! Oh, let's chat about some Friday Favorites now shall we?! For those of you that are new to the blog, I share a few things I'm loving each week in hopes to give you some inspiration! I also love hearing what you're enjoying this week as well so feel free to post in the comments below! 2. Baby Bear Outfitters - I shared last week how much I adore my new diaper bag from Baby Bear Outfitters that of course I had to tell you again! I just can't get over the material, design and storage in this amazing bag! 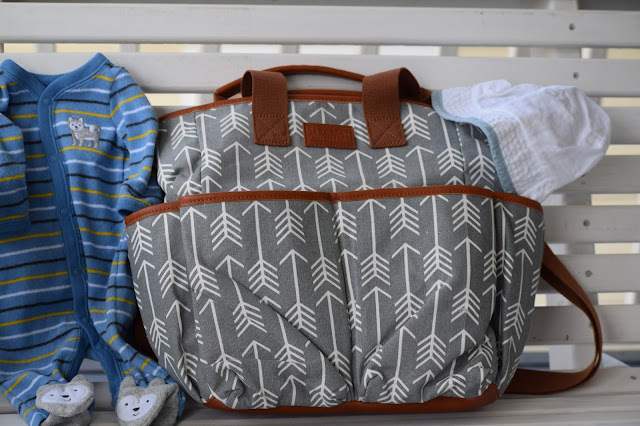 It goes with all of my outfits, is easy to carry ( which is saying something since there is always SO MUCH to carry with newborns and now a toddler in the other hand ) plus the changing bad is on point. 3. Truly, Madly, Guilty- Thank you so much for recommending this book to me friends! I finally finished it last week and have been so excited to share about it with you! It's a pretty intense book at times ( fair warning ) but the plot really kept this page turner going! I won't say too much about it but if you're looking for a mystery, relationship, suspenseful book, grab this! 4. Thinking Spring -These pastel colors really has me anxious for Spring coming in the next few weeks. 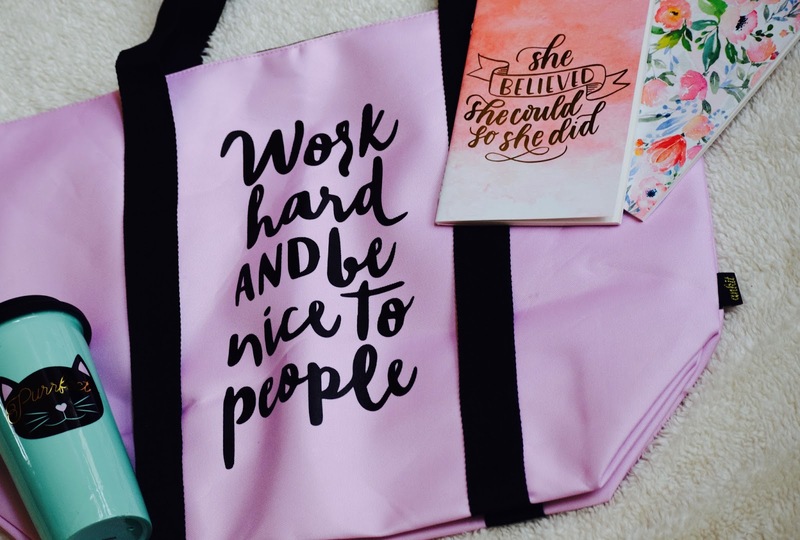 I adore my new Purfect mug, these adorable printed notebooks and this gorgeous pink pastel gym bag to keep me in shape and sharing some wise words. Thanks to Ankit for these lovely itmems. 5. Baby Boy - I had my Glucose test yesterday (Follow me on Snapchat --> CaitW22 ) and hoping for a positive outcome ( aka no gestational diabetes ) but I'm still waiting for the results. For those of you that may not be familiar with this sugary drink, it's a 5oz sugar water that you have to devour in 5 minutes, wait an hour and then get your blood drawn. The results will tell you how your body is breaking down your sugar. I didn't have it with Lily but I know each pregnancy is different so I'm hoping for the same results with this little man. On a crazy note, I'm not measuring 2 weeks ahead but actually THREE weeks ahead now! We'll have an ultra sound soon to see how he's measuring and if we need to move up my due date. It'll be here before we know it! PS- I'm having an AWESOME Giveaway on my Insta tonight at 8pm eastern so be sure to come find me to check it out! What are some things you are loving this week? Have you or anyone you know been diagnosed with Gestational Diabetes? Share what you're doing this weekend! When I was induced at 39 weeks, I was measuring 42 weeks. He was a big boy but healthy as could be! All the luck to you in the last leg of your pregnancy! I saw you snap chatting that baby bag and LOVE it. It's so cute! 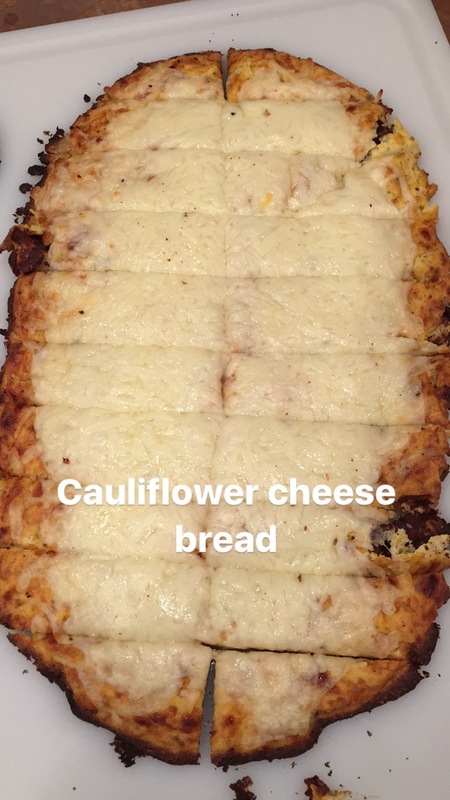 My Mom has been saying she wants to make cauliflower crust pizza for weeks and I keep telling her it must be easy. I can't eat cauliflower b/c it messes up my belly, but I bet its delicious! Hope they change the due date! Glad you stopped by Borm & Co., and happy to find your blog. I've been trying to cut carbs and would love to try that cheese bread! Hope you feel well throughout the rest of your pregnancy! Oh that glucose test! 3 kids, 3 tests, and the thought of that stuff still makes me shiver...praying for good test results! Happy Weekend!! 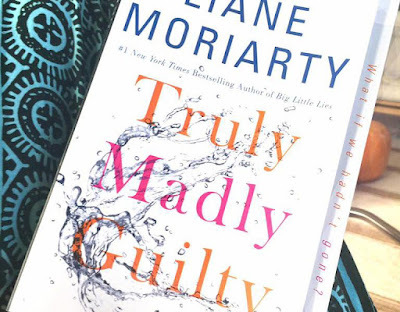 I am going to the library this afternoon so I will look for Truly, Madly, Guilty! I had no idea you could get Zika in Florida! I thought it was just the Caribbean. Scary! Bummer that you will miss the wedding but I hope you have a nice, relaxing weekend! Love a good book! That cauliflower cheese bread looks amazing! PS - I just realized my comment to your site earlier this week may not have posted. It wants to say it's from "unknown". This is Rebecca from www.everypiecefits.com. I don't know why it says that. 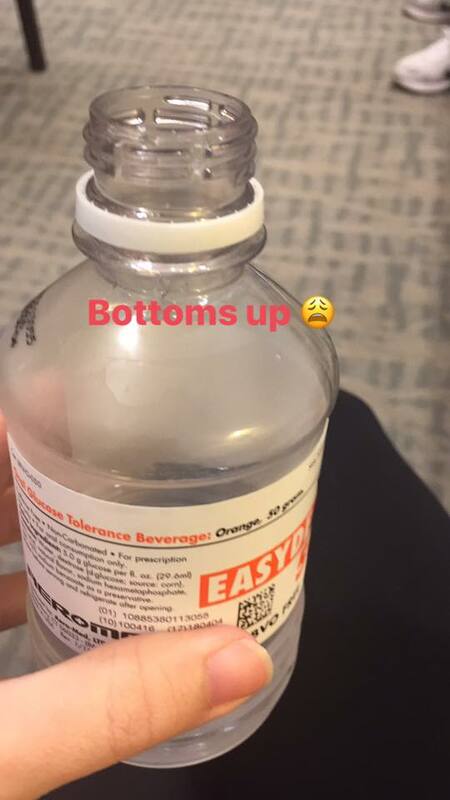 It makes me nauseous just looking at the glucose drink (even though it is empty!!) ughhhh not looking forward to that again. I've had some bad experiences. Hoping you get good results back!!! And sorry you are missing out on the wedding. Totally get it. Go get a pedicure!! Or do something fun! I'm now tempted to make some Cauliflower Cheese Bread too! Looks delicious!